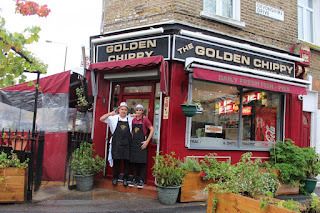 TripAdvisor reviewers have ignored London’s expensive dining hotspots to crown our local Greenwich fish and chip shop the best restaurant in town. The Golden Chippy on Greenwich High Road hit number one spot on the website on Monday, with one breathless reviewer urging diners to “forget what you believed about fish and chips”. With a string of similar comments commending the chippy the venue is currently ranked higher than more celebrated restaurants in town. Read more about Chris and his team in this Evening Standard article and don’t forget to show your Ashburnham Triangle Association card next time you order for a generous 10% reduction on your bill!